Turn on your low beam headlights. It is okay to drive at the maximum speed limit. Do not drive at a speed above 10 miles per hour. You are required to use your headlights during the day when visibility is reduced to 500 feet or less. When you first turn on your headlights, be sure they are adjusted to the low beam setting. Using high beams in fog or rain will cause the light to reflect back into your eyes, lowering visibility even more. If oncoming drivers do not dim their headlights for you, keep your eyes on the right side of the road ahead. Do not look directly at the oncoming headlights because the glare may blind you for several seconds. You may use this lane. No traffic is allowed in this lane. You must merge into this lane. 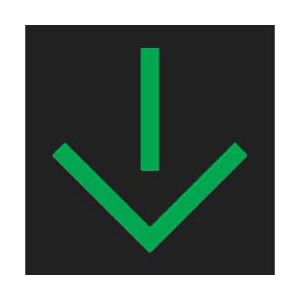 A steady downward green arrow over a traffic lane means you may use the lane indicated. Should slow to a stop, if it is safe to do so. May turn in the direction of the arrow after yielding to traffic and pedestrians already in the intersection. May drive straight through the intersection. A green arrow displayed on a traffic signal tells drivers that they may turn in the direction of the arrow. You must be in the proper lane for such a turn. Yield the right-of-way to vehicles and pedestrians already in the intersection. As an increasing number of drivers populate the roadways, road rage becomes more prevalent. To help prevent road rage, a driver should use proper turn signals, obey posted speed limits, and allow plenty of travel time.